The Junction boasts a collection of Toronto’s most interesting cafés, restaurants, craft breweries, markets, and locally owned shops. The Junction is a neighbourhood unlike any other in the city. Rich in history, it offers an exciting take on urban living. Transit, shopping, and dining are steps from your front door, and peaceful parks are just around the corner. The UP Express is not only a convenient way to get to Pearson International Airport, it is unquestionably the quickest way to travel between the Junction and Union Station, or vice-versa. These trains depart four times per hour from the conveniently located Bloor Station, and they guarantee your arrival downtown within seven minutes. Go ahead, time it. The Junction also boasts countless other options for transportation, including the bus, subway, or train. Multiple TTC and GO Transit services are all easily accessible by foot. The wealth of travel options, plus close proximity to major highways, make the Junction a dream for anyone on the move. The Junction is known for many things, but its extensive collection of culinary options may top the list. Dundas Street West boasts a strip of charming restaurants that rival those in any other Toronto neighbourhood. Stroll down the street any night of the week to Playa Cabana Cantina and share tacos and margaritas with friends, or enjoy a cozy date night as you sip wine and enjoy plates of authentic Italian pasta at Nodo. In the Junction, you are sure to experience good food and even better company. A native of the Junction, Indie Alehouse is a local staple in the neighbourhood. Situated just a few blocks from Junction House, it will soon become your regular spot. The rotating taps, bold flavours, and wide variety of hard to find ales is what this independent craft brewery is made up of. Each week, new beers are featured and new collaborations are on tap. Not even the most loyal Torontonian quite knows what to expect from each visit. They are constantly pushing the beer boundaries and it is always a new and exciting experience. The orange bridge is an iconic neighbourhood landmark, known city-wide to be the entryway into the Junction. 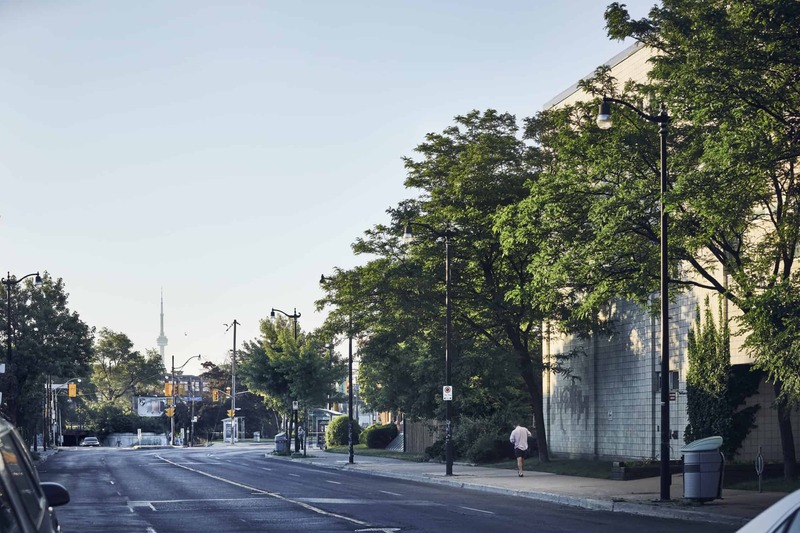 What used to be underutilized city space occupied by historical railway tracks, The West Toronto Railpath was restored to connect divided communities, and provide accessibility to cyclists and pedestrians. Running south from the Junction to the foot of Sterling Road, the path also provides convenient access to the UP Express and Dundas West subway station. now open at 2720 Dundas St W.